Midlothian Residents will soon be able to watch live webcasts of Midlothian Council’s planning committee. Residents will be able to see the discussions and votes that place when councillors review planning applications. The move will make the planning process more accessible and transparent for the public. 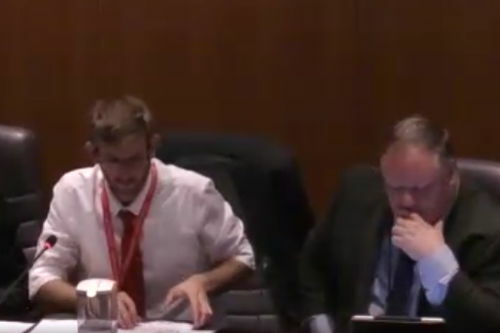 The move comes after feedback from the Midlothian Federation of Community Councils as well as Eskbank and Newbattle Community Council suggested webcasting planning committee meetings would be of more interest and value to local people than watching cabinet meetings. Which in itself demonstrates the effectiveness of Community Councils in bringing change to the council. An evaluation report will be brought before the full council prior to the current webcasting contract expiring in 2021 where the cost-effectiveness of engaging with the public via webcasting will be reviewed. The full council meeting itself is broadcast live and is available later to watch live on catchup via the council website. HERE. The full meeting agenda is shown and the viewer can easily go straight to the particular agenda item they are interested in. Midlothian View strongly recommends that if you have not watched already that you take a look as it shows local democracy in action amd how decisions that can affect everyone are taken.